Product prices and availability are accurate as of 2019-04-15 01:31:04 EDT and are subject to change. Any price and availability information displayed on http://www.amazon.com/ at the time of purchase will apply to the purchase of this product. Complete Set of 2016 National Park Quarters from the Philadelphia (P) Mint. 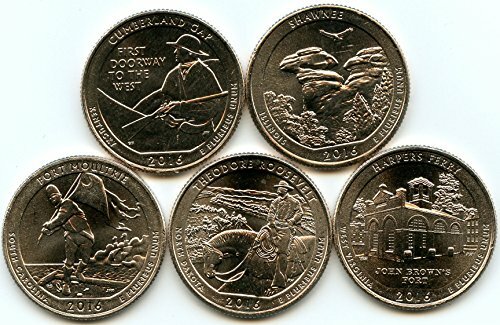 This National Park Quarter Set contains one of each National Park Quarter released in 2016 from the Philadelphia (P) Mint in Brilliant Uncirculated (BU) Condition. 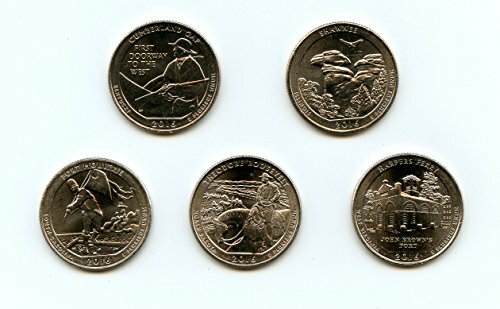 This National Park Quarters Set contains 5 coins packaged in plastic safety flips.